The Ohio State Highway Patrol, along with several other law enforcement agencies, are searching for a suspect in Mansfield, Ohio. 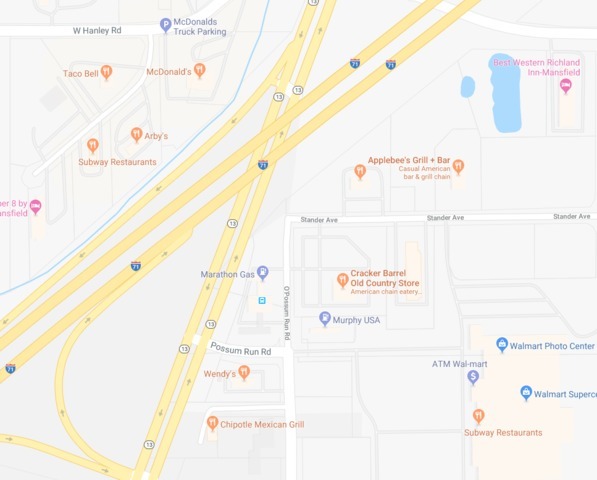 According to OSHP, wanted fugitive Shawn Christy, 26, of Pennsylvania, was involved in a crash on I-71 near mile marker 170 Sunday when he fled from the vehicle. Christy is wanted by the FBI, the United States Secret Service and the U.S. Marshals for threatening to harm a police chief, other law enforcement officers, a district attorney and President Donald Trump. Along with OSHP, U.S. Marshals, Mansfield Police Department, Mansfield SWAT and Richland County Sheriff’s office are searching the area of 71 between exit 13 and exit 39. On Sunday morning Christy allegedly stole a truck from the area of McAdoo, Pennsylvania. At approximately 4:45 p.m., Christy crashed along 71 in the Mansfield, Ohio area. The vehicle has been recovered. The crashed happened just before the Route 13 interchange on I-71 in Mansfield. According to the FBI’s Most Wanted website, Christy allegedly posted threats on Facebook between June 3 and June 12 saying he was going to shoot President Trump in the head and was going to use “lethal force” on any law enforcement officer attempting to detain him. A federal arrest warrant was issued for Christy in Pennsylvania on June 19 after he was charged with Interstate Communication of Threats and Threats Against the President of the United States. Christy should be considered armed and dangerous. 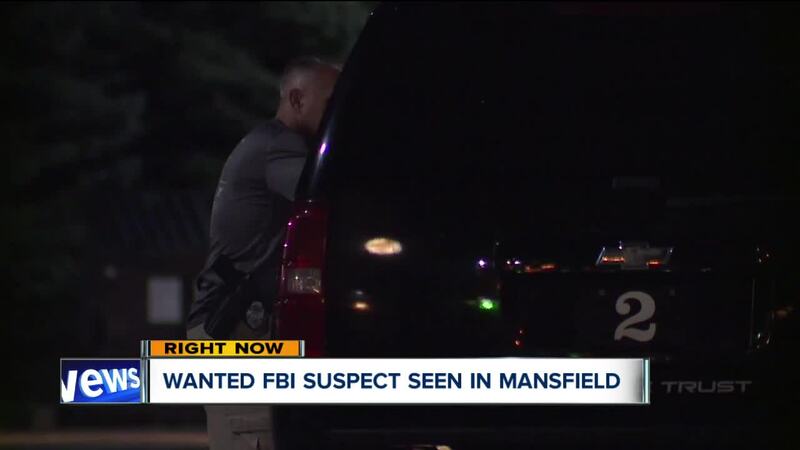 Authorities are asking those in the area of Mansfield, Ohio to use caution and remain inside with their homes and their cars locked. Christy is 5 feet 10 inches tall, weighs approximately 160 pounds, is a white male with a light complexion and has a tattoo of a cross on his right upper arm. He has short dark blonde hair and a beard. Christy also speaks with a noticeable lisp and claims to be a survivalist. The U.S. Marshal Service is asking anyone with information on this vehicle to call 911 or the U.S. Marshals direct at 1-866-4-WANTED or text keyword WANTED and the tip to TIP411 (847411). Federal agents are offering a cash award of up to $20,000 for information leading to the direct arrest of Christy. Any information will be considered confidential.